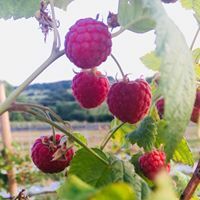 Hayles Fruit Farm covers approximately 100 acres of picturesque countryside on the outskirts of the Cotswold market town of Winchcombe, Gloucestershire. Farmed by the Harrell family since the 1950’s it has seen many changes - not least in the form of diversification. That said growing, producing and marketing top quality fruit remains paramount. Over the years the range of crops grown has been expanded and now includes apples, pears, plums, strawberries, raspberries, gooseberries and of course the original Cob Nuts. Whilst the farmshop provides an important outlet for the sale of this produce we also have excellent working relationships with a number of local retail outlets - including Warners Budgens whom have for a number of years marketed our goods. Diversification continues to play a major role. The farmshop offers our cutomers some great tasting local produce as well as an opportunity to sample our farm-made apple juices & ciders, a delicious lunch can be enjoyed in the ‘Orchard’ (our Restaurant and Tearoom) and other on-site activities to checkout including a nature trail, Pick Your Own Fruit (in season), clay pigeon shooting and coarse fishing. Whether you’re just passing through or want to use our campsite as a base from which to explore the fantastic countryside & many local attractions you’re very welcome. As with any fruit farming, specifically top fruit, there has to be a rolling programme of planting thus ensuring the orcharding continues to produce quality fruit. All of the fruit harvested is stored and packed on the farm and then the majority marketed within the Three Counties. Likewise the juice and cider fruit is harvested, pressed, bottled and pasteurised on the premises. Therefore ensuring food miles are kept to a minimum. The farm is within the Cotswold AONB and in an environmental sensitive area. All our crops are grown using integrated pest management which champions the use of predatory insects such as ladybirds and typhlodromus pyri to help us control pest and disease in the orchard with the minimum use of pesticides. 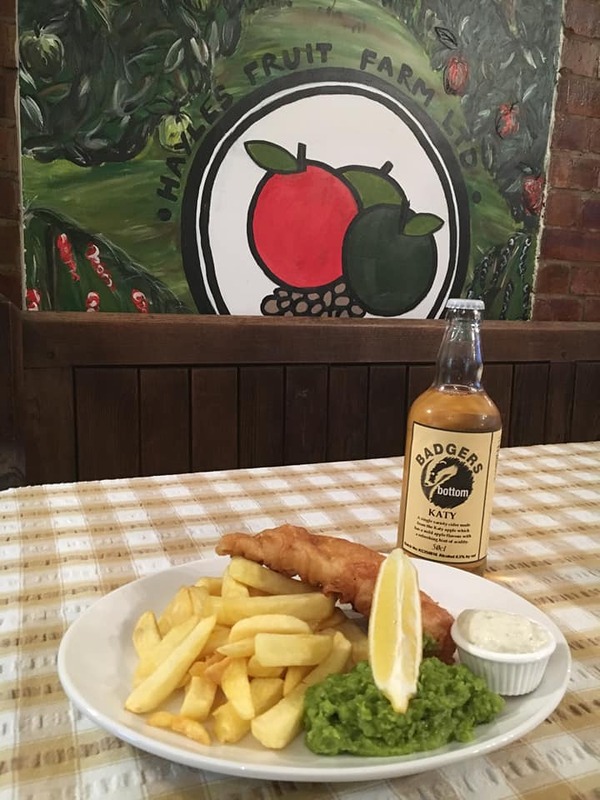 As a family run business it is important for us to welcome locals and visitors alike. We believe we have a good working relationship with many of the other local businesses both as customers and suppliers. Over the years we have been farming at Hayles many of the staff that have helped us succeed have been local. 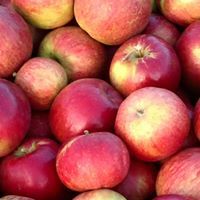 We also offer local people an apple pressing, bottling and pasteurising service. In today's environment we are constantly reviewing our packaging. Almost all of our apples and pears sold through the farmshop and farmers markets are now sold loose and our soft fruit punnets are kerbside recyclable. To reduce waste we are, year on year, trying to budget more closely to ensure production matches demand. Interesting the apple pulp (the by-product from our apple juice and cider production) is used by a local farmer to feed his pigs. Our diversification has seen an increase in visitors to the farm. Groups - such as brownies, local schools and gardening organisations are interested to learn more about what we do whilst families come for the experience of picking their own fruit. The campsite is also popular overnight stop for Duke of Edinburgh Expeditions. Our main energy usage for the cold storage and juice production is electricity which is constantly being monitored. Solar power has been investigated but regretably is not a viable option based on our location. The compressors in the cold stores have recently been upgraded to those which use non-ozone depleting refridgerants. The nutritional value of all fruit is well documented and needs little explanation. Likewise our apple juice has much the same values it's content being entirely fresh pressed apples with a pinch of asorbic acide (Vitamin C) to prevent discolouration. 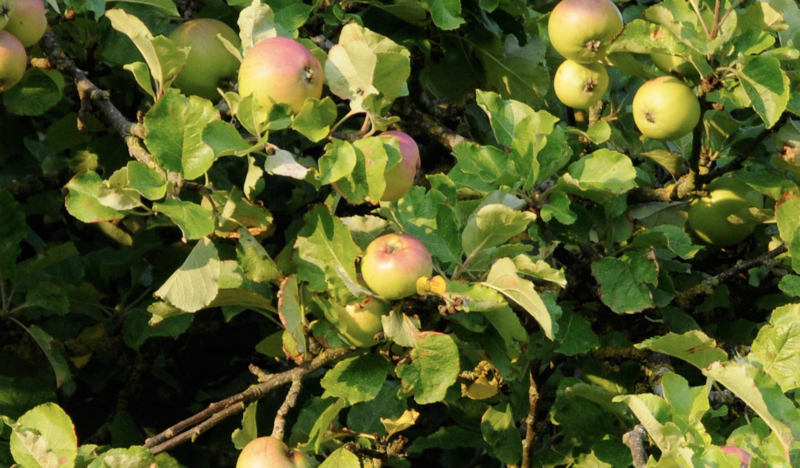 As for the nutritional value of our Cider - we'll leave that one for you to explore!